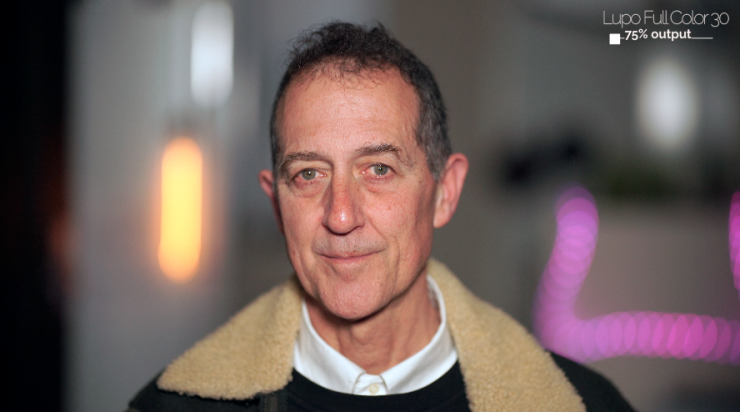 Here at Newsshooter we have been lucky enough to put the light through its paces. 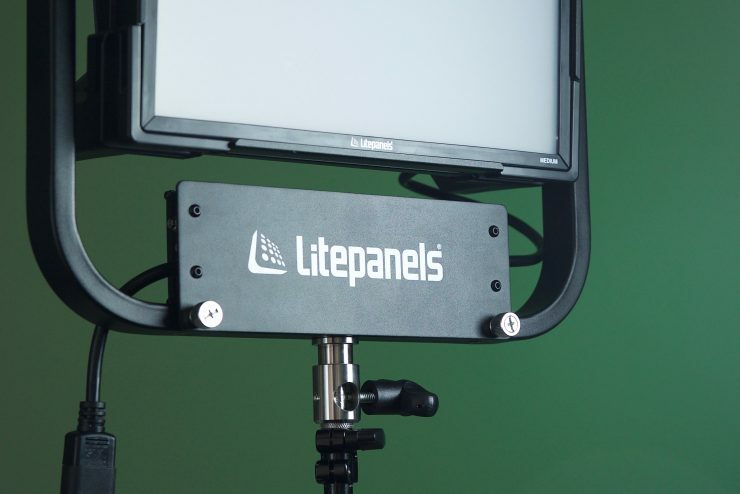 I reviewed the Litepanels Gemini 2×1 RGB-WW LED Soft Panel just over a year ago and found that it was a well built, fully featured fixture that produces a really nice quality of light. It made for a very compelling option to lights such as the ARRI S60-C SkyPanel. 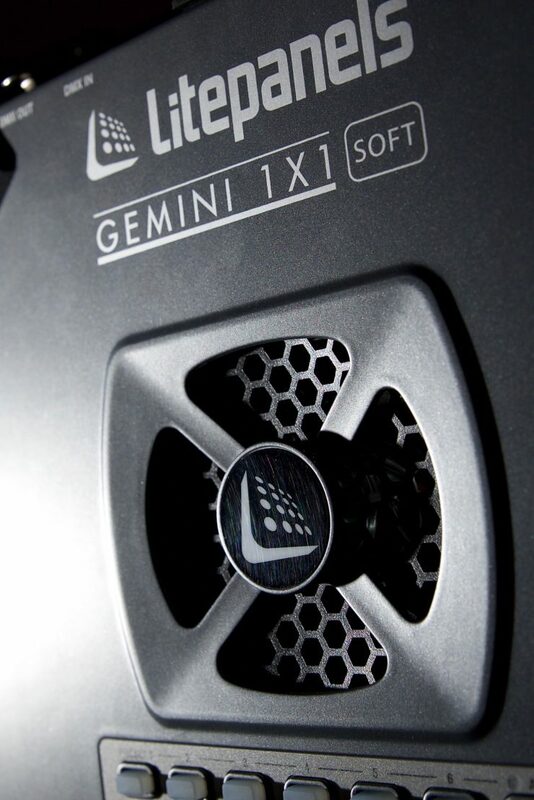 Finally, Litepanels decided to make a 1×1 version of the Gemini. 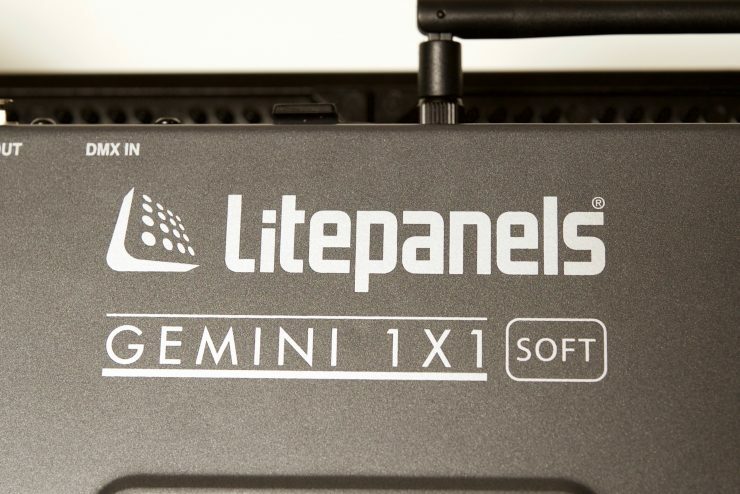 I really thought that Litepanels should have announced both the 2×1 and 1×1 versions of the Gemini at the same time. At the time the 2×1 Gemini was announced there was very little in the way of competition from other RGBWW lights, this was especially true if you were in the market for a 1×1 RGBWW panel light. Since that time we have seen quite a few 1x RGBWW lights emerge from companies such as Lupo, Luxli, and BB&S. A 1×1 version of the Gemini would have had the jump on the competition if they had of released it a year ago. The Gemini 1×1 RGB-WW is a soft panel fixture that combines daylight, tungsten, and red-green-blue LEDs. The Gemini 1×1 Soft comes with a host of features, and not only is its Kelvin color temperature adjustable from 2700 to 10000K, but it also offers four different lighting modes, 6 presets for user-defined color temperature and plus/minus green control. 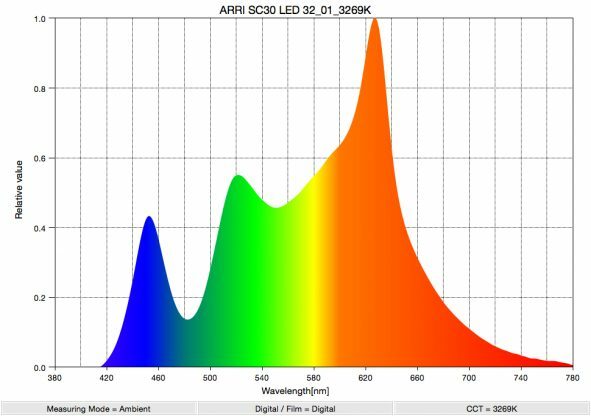 We are seeing a lot of lighting companies now use RGB-W technology. RGB-W stands for Red, Green, Blue & Warm White. Most LED lights on the market create white light by mixing red, green, and blue, which unless it is done well, can create undesirable color spikes. With most RGB-W, an extra white chip is added into the mix. By mixing all four, a wide range of colors can be created and in theory, the light produced when all four are at full brightness should appear to be almost white. 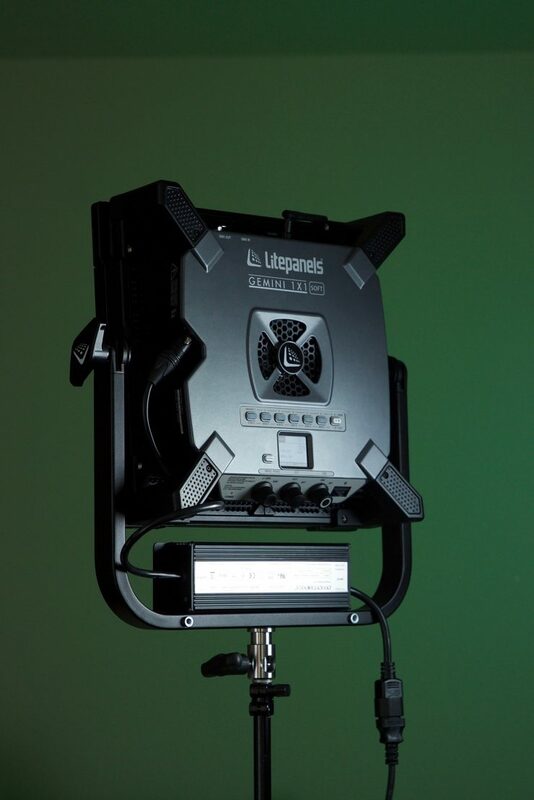 With the Litepanels Gemini, the fixture is RGB-WW, and they use 5 chips, not 4. The extra chip means the Gemini not only has a warm white chip, but also a white chip. This is different to say the ARRI SkyPanel where they are actually mixing colors to obtain white. 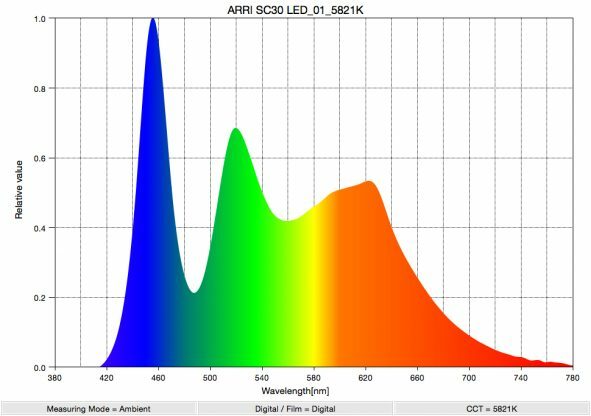 RGB-WW and RGB-AW are still not that common as far as LED lights go, mainly because they are a lot more expensive to produce than regular RGB LEDs. While in theory, an RGB-WW LED should be better at creating color mixes, it requires significantly more cooling than a regular RGB LED. 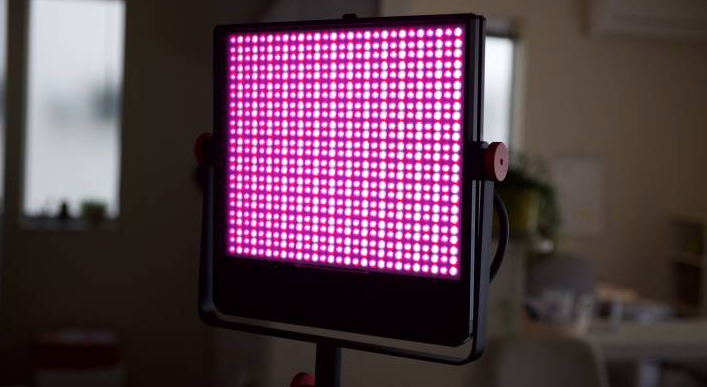 Litepanels claim that the Gemini has been designed to give users a daylight-to-tungsten light foundation that then enables them to finely adjust color throughout the full, 360-degree color wheel. The philosophy behind doing it this way is that users should be able to match a broad range of ambient lighting conditions with more ease. For example, if you were shooting in a room that had a lot of overhead fluorescent lighting which you couldn’t turn off, you could, in theory, add or remove green, or use an in-built digital filter to try and get your fixture to match more closely to the ambient lighting conditions. Allows bicolor (daylight to tungsten) with +/- green adjustment. Provides the ability to dial up a variety of popular gels. The ability to create lighting effects such as Fire, Lightning, and Emergency. This is the mode most people are going to use the light in the majority of the time. 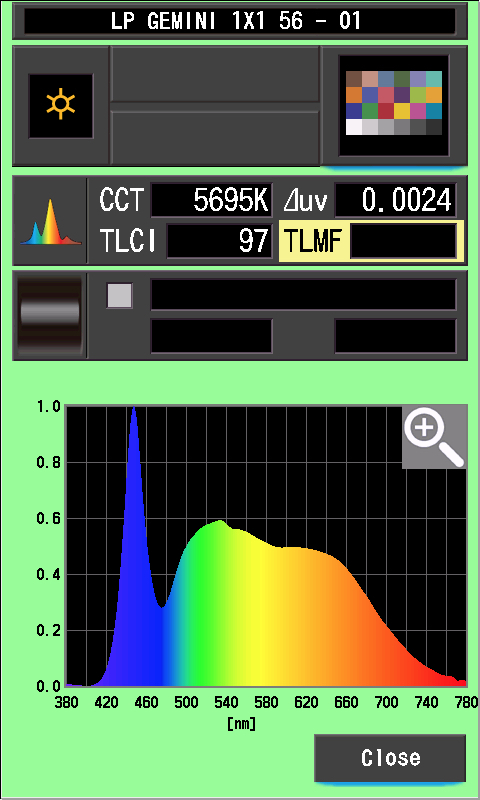 In the CCT Mode, you have full access to making Kelvin color temperature adjustments between 2700K to 10000K. These adjustments can be made in increments of 10. You also have full +/- green adjustment available which is extremely handy. Being able to dial in more or reduce the amount of green coming from your lighting source can make a huge difference. Different camera companies use different sensors in their cameras and they all react differently to light. Some camera sensors may lean towards magenta, and some, more towards green. 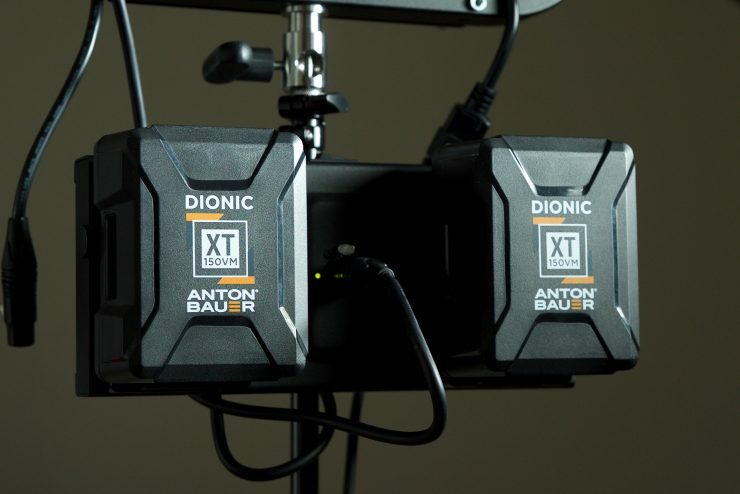 By making CCT adjustments you can dial in the light so that it looks better for whatever camera system you are using. 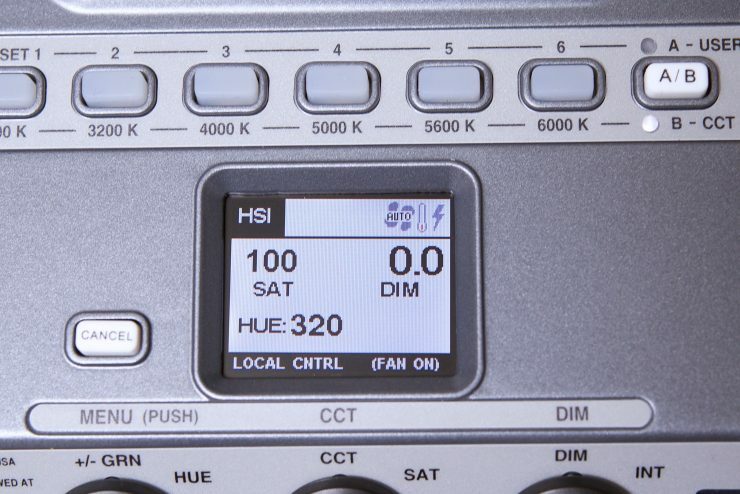 The Kelvin color temperature range is impressive and it puts the Gemini in line with other lights such as the ARRI SC30-C, Luxli Timpani, and Lupo Superpanel Full Color 30 that all have the ability to operate up to 10000K. The HSI mode lets you create just about any color you can think of. It gives you full hue and saturation control as well as intensity. By manipulating, the hue and saturation you can create some really interesting colors that depending on the project you are working on can really add some creative flair. I quite like using this mode to create a lot of color separation between the foreground and background, or for recreating a really cold or warm looking image. Gel mode is a fantastic feature that lets you replicate popular Rosco gels (there are a couple of LEE ones as well) depending on whether you have the light set as either a tungsten or daylight source. Using the gel mode can help you match other lighting sources, especially if you are working with other lights with gels. 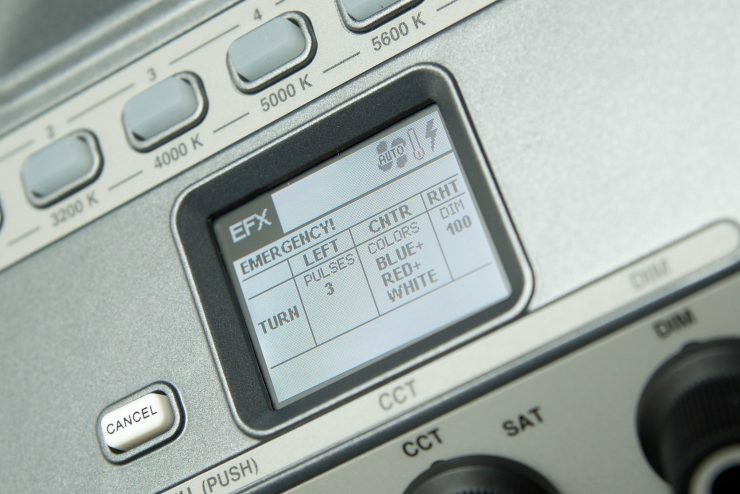 All the effects modes can be individually adjusted and tailored to your lighting needs. While all these options are great, they are hardly revolutionary features. 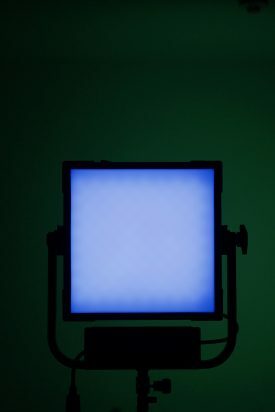 +/- green adjustment, hue, saturation and intensity (HSI) control, the ability to dial up gels, and lighting effects have been available in the Arri SkyPanel series and quite a few other RGBW lights for quite some time. Even though it is a 1×1 panel light it does feel a little larger than most other 1×1 LED lights, even though technically it’s not. A lot of this has to do with the fact that the power supply is attached to the yoke frame. In some ways, I like the fact that they have incorporated the power supply into the yoke frame as it makes setting up and using the light really quick. 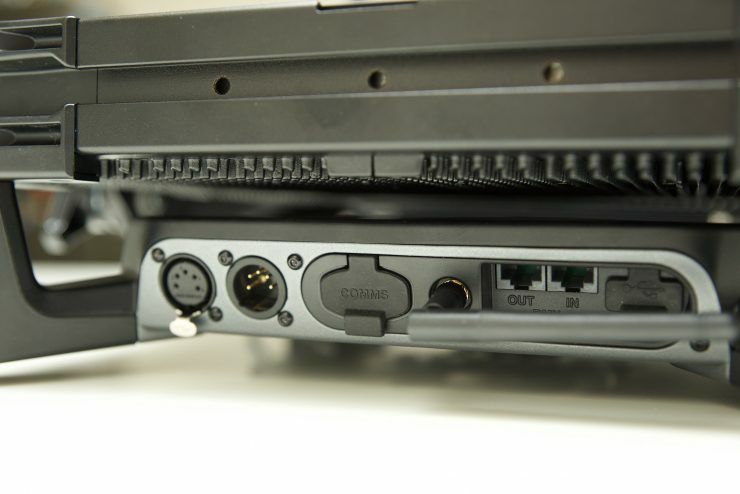 You can remove the bracket that has the power supply attached to it, but the cable is relatively short, so you can’t just place it on the ground. Litepanels really should have included some sort of extension cable so you could place the power supply on the ground and still be able to run a cable up to the light. I like the placement of the LCD display screen and where they have positioned all of the buttons and switches. Everything is easy to access. 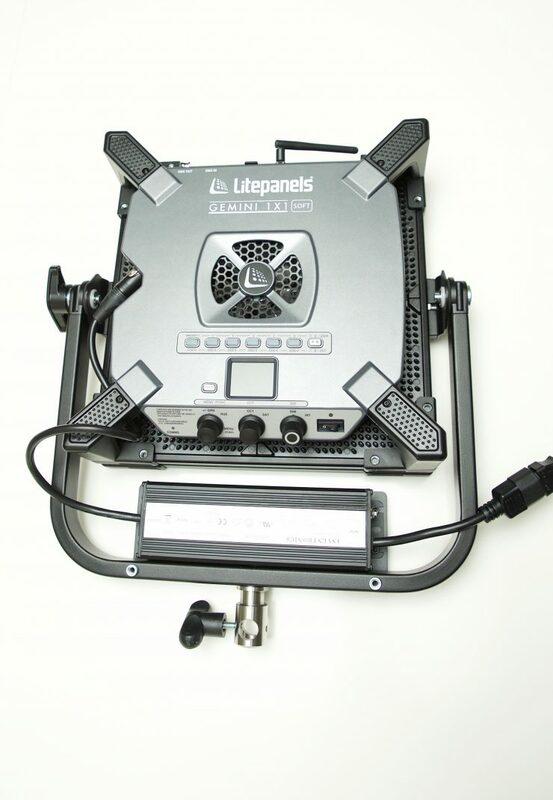 Litepanels has designed the light so that the front panel and the rear control unit are separated. They are connected together via sort of pseudo handles on the back of the light so that you can hand hold it. While they do work, they are a little difficult to grasp, and given the weight of the fixture, you aren’t going to be able to hold it for extended periods of time. The other problem is that the optional battery plate doesn’t attach directly to the light (more on this later). The light’s design is a little unusual (that’s neither a good or a bad thing) and it looks like it could be used as a prop on a science fiction movie. 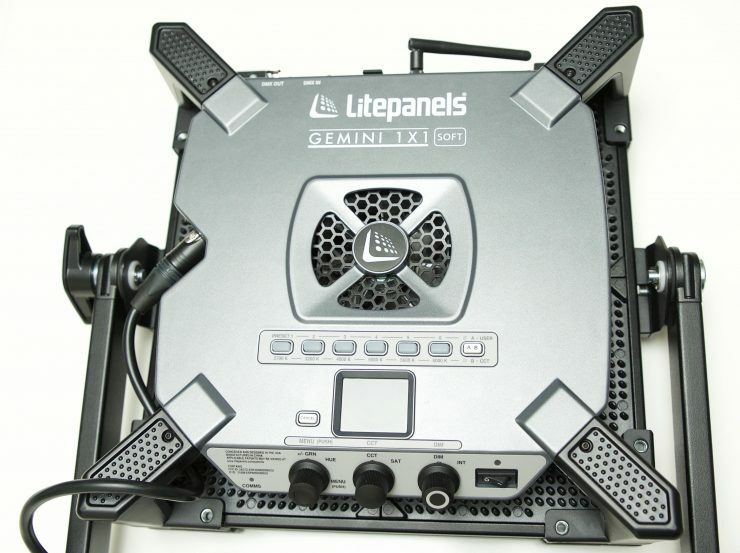 Litepanels do offer remote control through DMX (5-pin XLR or RJ45), Wireless DMX (both using standard 512 protocol), or Bluetooth. If you use Bluetooth, the Gemini 1×1 Soft can be remotely controlled using the Litepanels SmartLite or SmartLite Director apps that are available for iOS devices, but you will need to purchase the optional LYKOS Bluetooth Dongle ($99 USD). I really like the controls and menu system on the Gemini. Everything is easy to access, and the menu system is straightforward and easy to use. 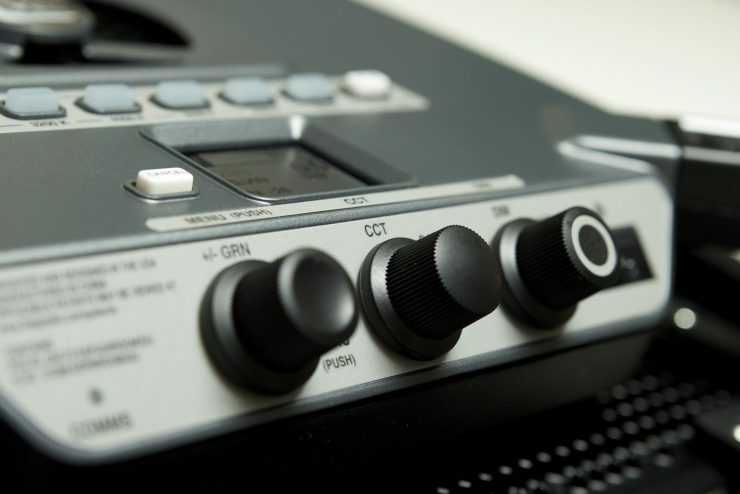 The buttons and dials are clear and easy to read and the in-built LCD display shows you exactly what you need to see. The dials have little notches on them so when you make adjustments you get a nice tactile feeling. I wish more lighting manufacturers would make a control layout like this. It’s simple, responsive and it works. 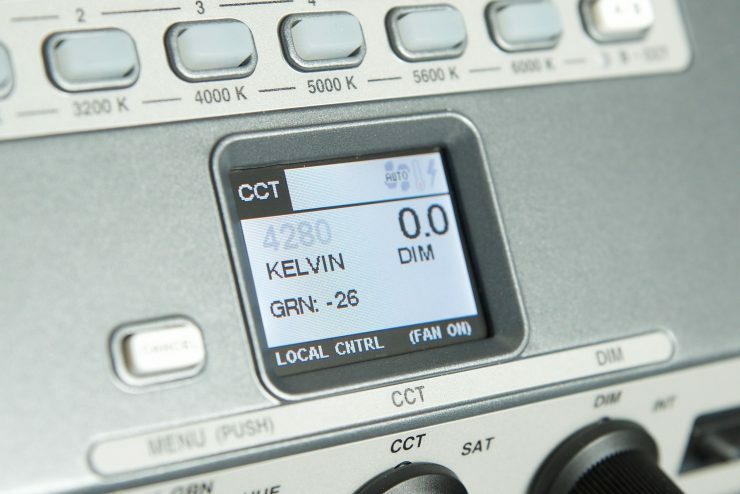 The Gemini has six preset buttons that can be used in the default mode as Kelvin color temperature presets: 2700K, 3200K, 4000K, 5000K, 5600K, and 6000K. There is also an A/B switch which changes the 6 buttons into User Presets. 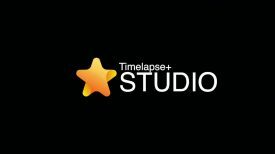 With User Presets you can store your favorite settings or lighting effects and recall them instantly. This is really handy if you are working with certain cameras and you have pre-dialed in a look that you know works well with that camera. You can just store it and then bring it up the next time without having to adjust all the settings. This saves precious time and allows for accurate repeatability with your lighting. 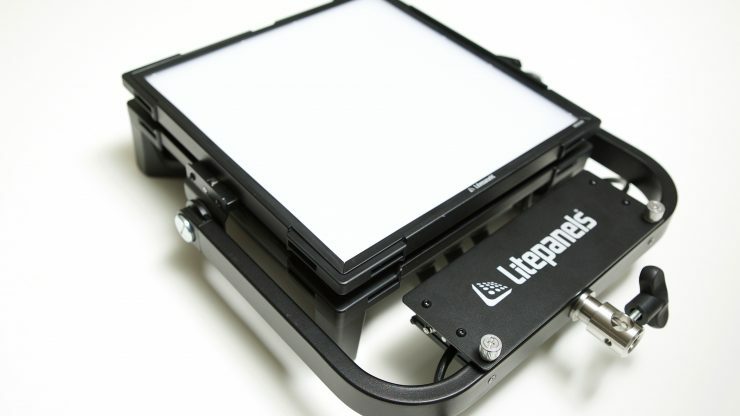 Litepanels has come a long way since the original 1×1 Litepanels. The build quality has improved over the years and on the surface, the build quality of the Gemini looks to be far better than the Astra series, but is it? I don’t personally think it is as well made as the larger 2×1 Gemini, but in general, the overall build quality is pretty good. The housing looks to be robust and a little more solid than previous Astra 1x1s. Litepanels told me that the Gemini 1×1 Soft is made on the on the same production line using the same materials as the Gemini 2×1. 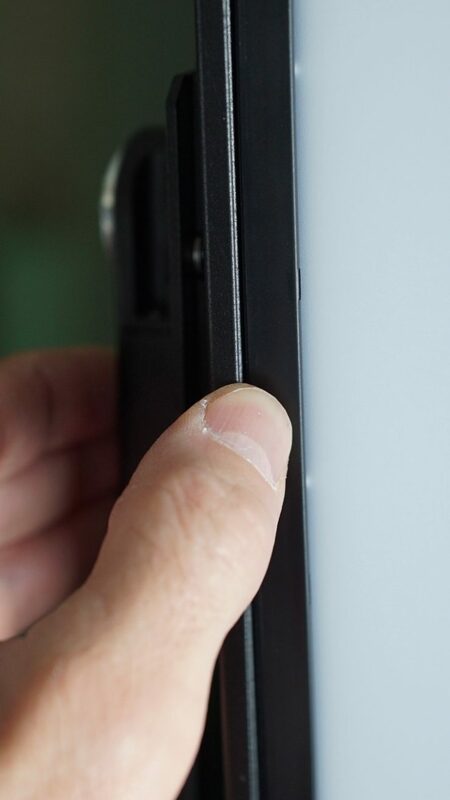 This may be something small, but the LCD screen on the fixture I was reviewing wasn’t even straight. I certainly wouldn’t be happy if I bought a light and found that the display screen was installed incorrectly. I wouldn’t expect to see problems like this on a light that is being targeted against the ARRI Skypanel S30-C. 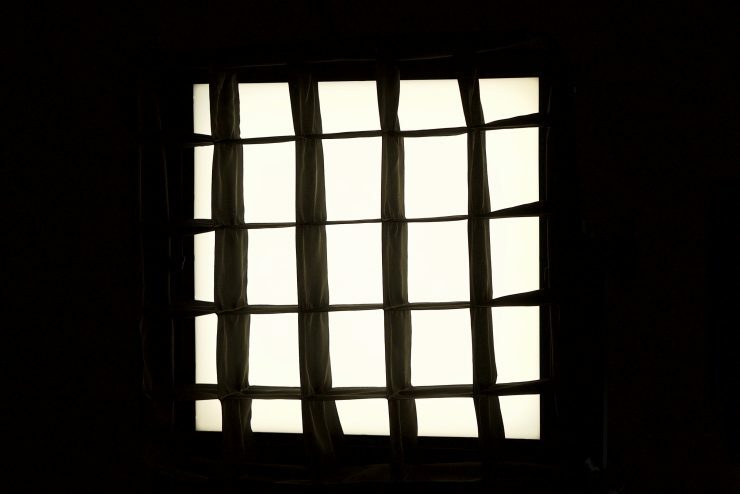 The light has a built-in accessory rail for inserting honeycomb grids, barn doors or a softbox. This is quick and easy to use. The yoke frame is nice and robust and offers a full range of rotation. It does lock off nice and securely, but I’m not quite sure why they have chosen to just use one locking mechanism. In my opinion, having two is always better as it makes it easier to remove the yoke frame from the fixture. Often if you are traveling you may want to remove the yoke frame so that the light can be placed in a smaller bag. It’s impossible for me to say how this light would hold up over time. The ARRI SkyPanel is built for longevity and with reliability in mind and that’s why you see so many of them at rental houses. As the Gemini 1×1 Soft has just been launched it’s impossible to say how reliable and robust it may or may not be. 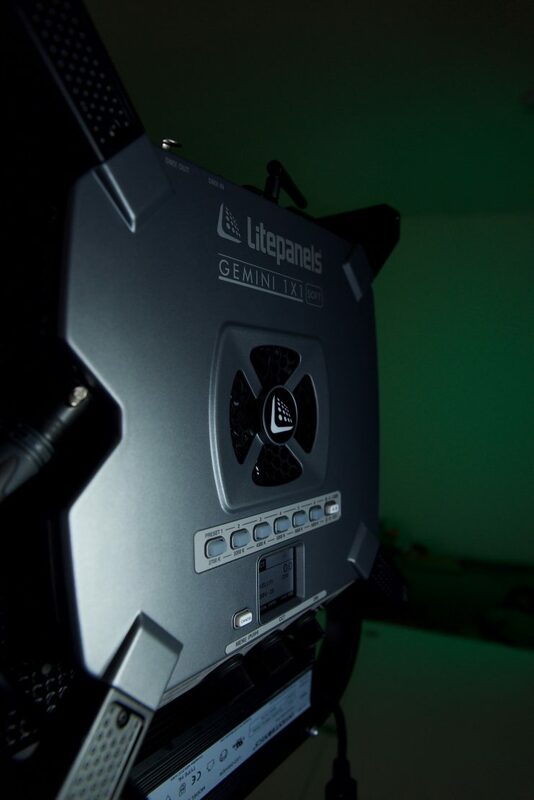 The Gemini does use a fan to cool the fixture, so does it make much noise? From my testing I didn’t find it to be a problem, it’s barely audible even in the quietest of rooms. Even after leaving the light on for long periods of time it didn’t get noisy. The combination of heat sinks and a fan really does seem to work well. The light doesn’rt seem to get warm even after being used for extended periods of time. The Gemini has dimensions of 16.38″ x 4.69″ x 12.6″ and weighs in at 5.31kg (11.7lb), which is certainly on the heavy side for a 1×1 fixture. The ARRI Skypanel S30-C weighs 17.2 lb / 7.8 kg (Including Yoke). 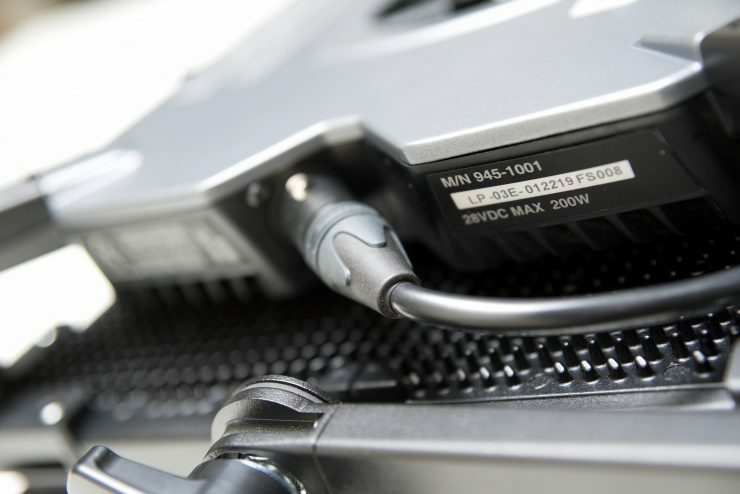 The power supply for the Skypanel is 5.5 lb / 2.5 kg. If you compare it to the Lupo Full Color 30 which weighs in at 3.7kg (8.15lb), the Luxli Timpani that weighs 3.15kg (6.95lb), and the BB&S Area 48 Color which tips the scales at 4.6 kg (10lb), it’s considerably heavier. Part of this weight is due to the large cooling system that is required when using RGB-WW LEDs. 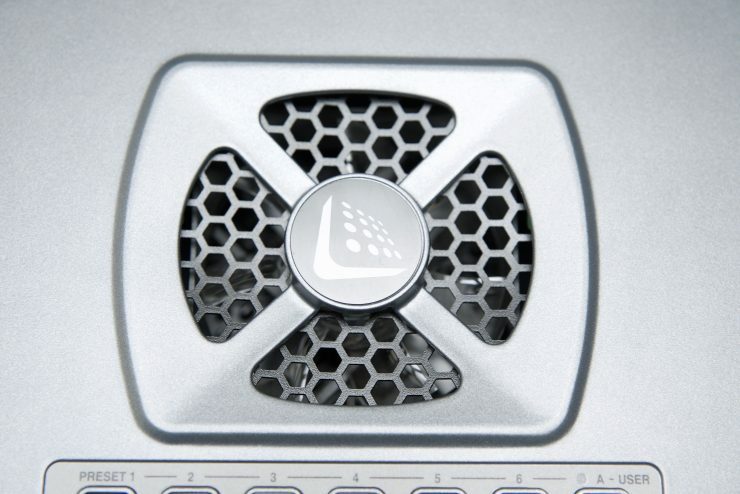 The Gemini not only has a large fan, but the back of the fixture is essentially one large heat sink. Given its feature set and build quality, the weight is well controlled. Would I have liked it to weigh less? Of course, but then that probably would have resulted in the build quality being compromised. It’s always a trade-off with lights like this, but in my opinion, I’d rather the light be heavier, well made and robust than lighter and made out of cheaper components. The Gemini draws 200W and can be run off mains power or by using an optional V-mount or Anton Bauer Gold Mount battery plate. This power draw is the same as the Lupo Superpanel Full Color 30 and ARRI S30-C Skypanel, but more than the 120W of the Luxli Timpani 1×1 RGBAW and the 165W of the BB&S Area 48 Color. This 200W power draw does mean that it can be used on location without mains power. My only gripe is that the optional battery plate hasn’t been designed to attach to the light or the yoke frame, instead, it has been designed to attach to a light stand. In my opinion, this is a design flaw. Most people buying a 1×1 LED panel want to just be able to attach a battery straight onto the back of the fixture. 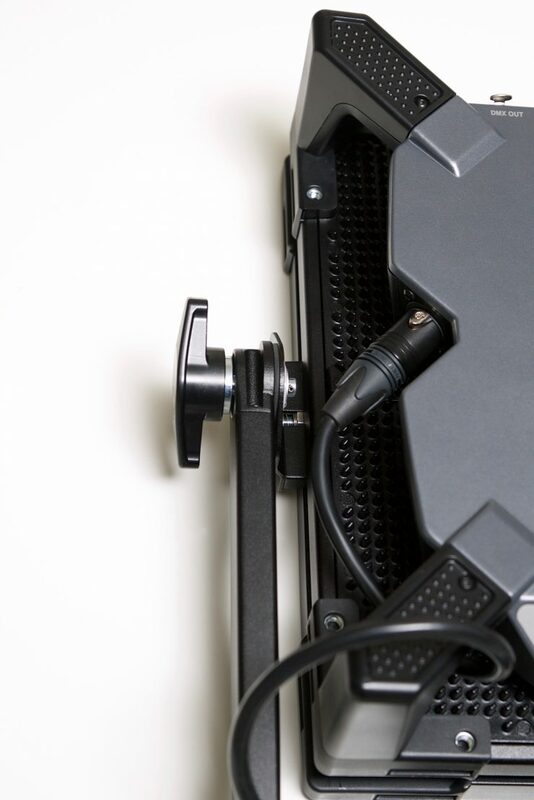 As Litepanels hasn’t designed a battery plate that does this, you can’t just put a battery onto the back of the fixture and let someone hold onto it and move around with you as you are shooting. 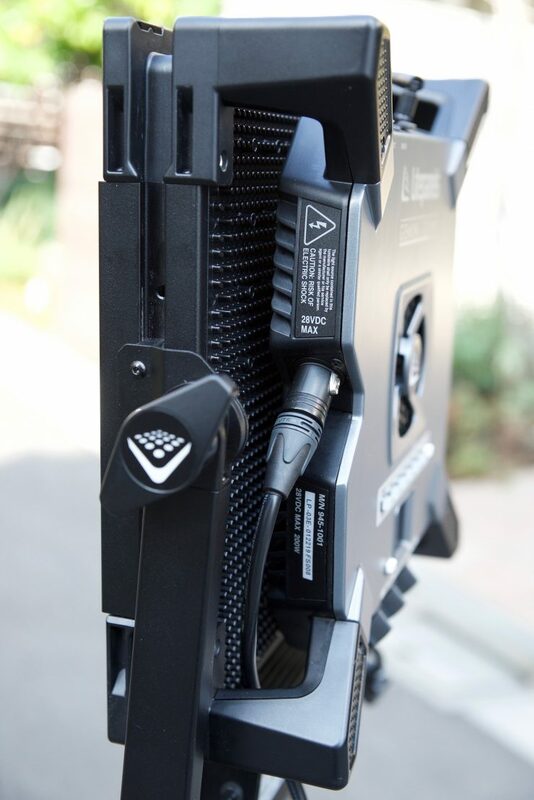 Litepanels should have made a battery plate that attaches directly where the power supply is mounted on the yoke frame. The battery plate for the Gemini 1×1 Soft is exactly the same as the battery plate that is available for the larger Gemini 2×1. The problem is that the battery plate is large and heavy and if you attach two batteries the weight of your lighting set up drastically increases. To use it, you need to use 14.4V rated batteries, and if you are using two batteries, Litepanels recommends that you use two identical batteries. 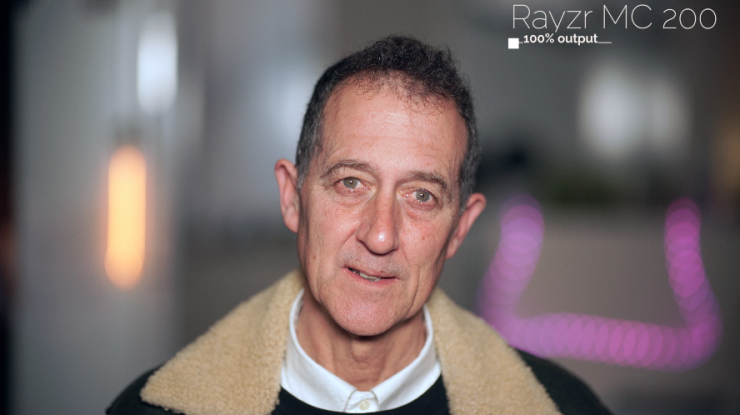 I did test out the light running on camera batteries and I was able to use it at 100% output without any problem. 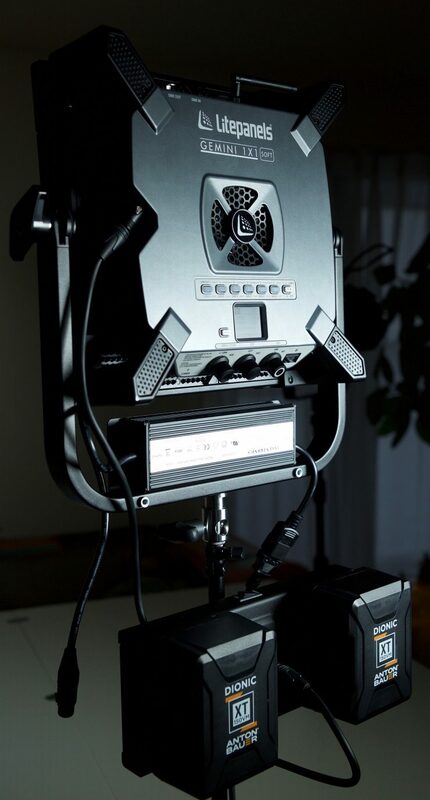 UPDATE: Since doing the review, we have now found out that Litepanels will have a single battery plate available that attaches to the yoke frame. This will cost $399 USD. What you do have to remember is that you will need to use a very high capacity battery (above 200Wh) to power the light. The Gemini has a 92° beam angle which is reasonably wide for a 1×1 fixture. Litepanels will be selling a 60° honeycomb grid, or you can also get a 40° Snapgrid. Both of these are a good option if you plan on using this light for interviews, or in situations where you don’t want a lot of light spill. In comparison, the ARRI S30-C SkyPanel and the Lupo Full Color 30 both have a very wide 115-degree beam angle, the Luxli Timpani has a beam spread of 72-degrees, and the BB&S Area 48 Color is 105-degrees. 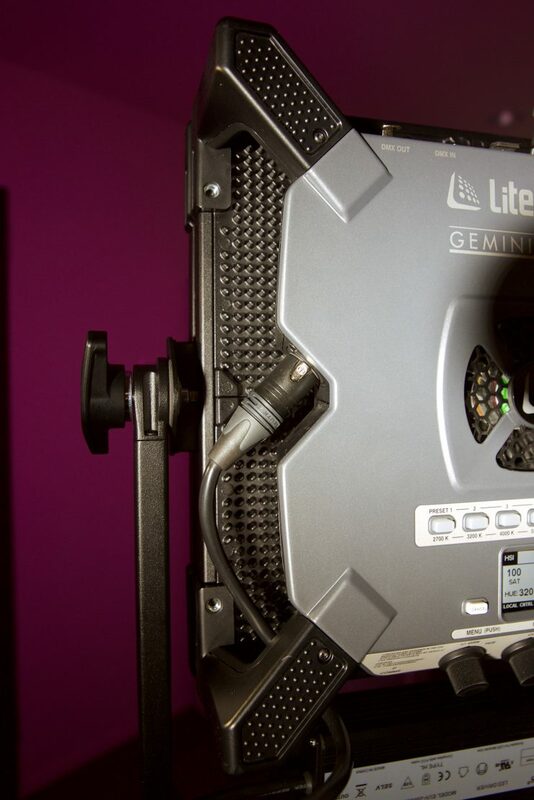 Litepanels claim that the Gemini is flicker-free at any frame rate or shutter angle. From the frame rates and shutter angles I tried, I found that to be true, but I was only able to test up to 240fps. One of the nice features of the Gemini 1×1 Soft is that Litepanels will continue to add features to the light over time. 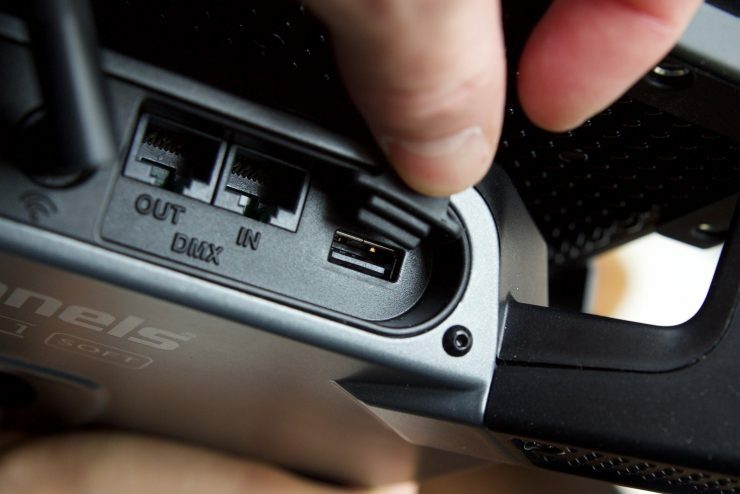 There is a USB slot on the top of the light which can be used for updating the firmware on the Gemini. 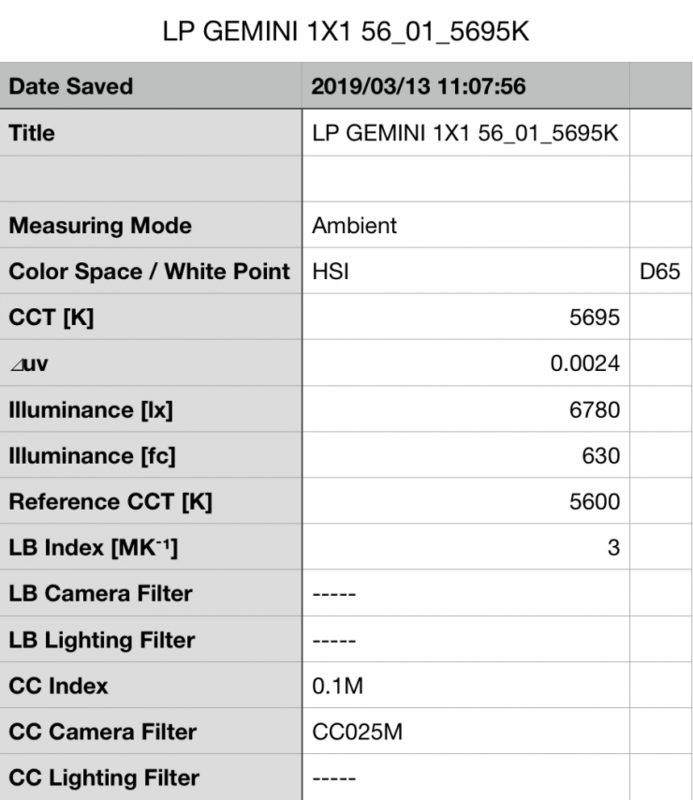 I tested the Gemini at a variety of Kelvin color temperatures with a Sekonic C-800 Spectrometer to find out how much output the light had and how accurate the Kelvin color temperature reproduction was. All readings are taken at a distance of 1m (3.28ft) in a controlled environment. Above you can see the light recorded an output of 6780 lx (630 fc) when set at 5600K and run off mains power. 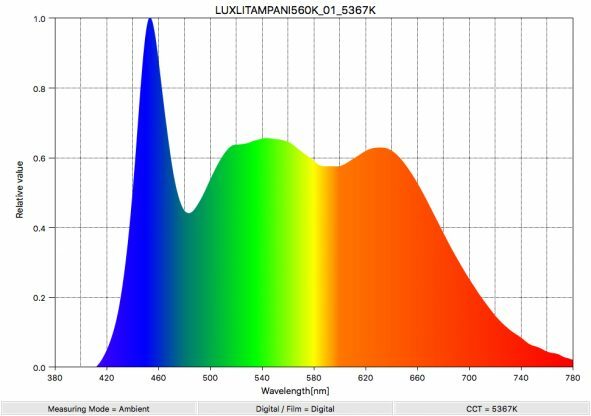 The Gemini produced a Kelvin color temperature of 5695K. 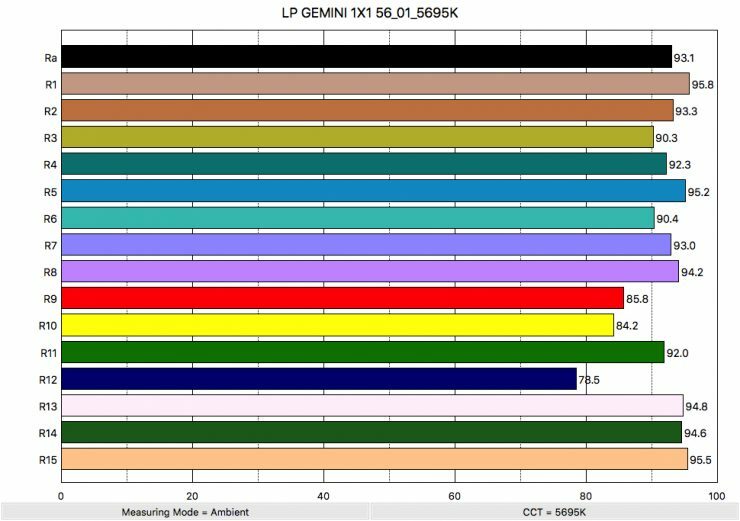 The Gemini had a CC Index score of 0.1M. Above you can see the output being used from various 1×1 sized RGBWW lights to obtain correct exposure. Above you can see the lights output when it was set at 3200K. It produced 5970 lx (555 fc), which is just under 12% less than the 6780 lx it produced at 5600K. As far as Kelvin color temperature accuracy goes, it recorded a very accurate reading of 3294K. Just like at 5600K, the reading at 3200K showed a slight push towards magenta (0.3M). How does it perform at various Kelvin color temperatures? These results show me that the light drops output when you start moving the Kelvin temperature dial both down and up from 4500K. The output of the light is extremely impressive and it actually has a higher output than the ARRI SkyPanels SC30-C. In saying that, it’s important to note that the ARRI has a slightly wider 115° beam angle, compared to the Gemini’s 92°. 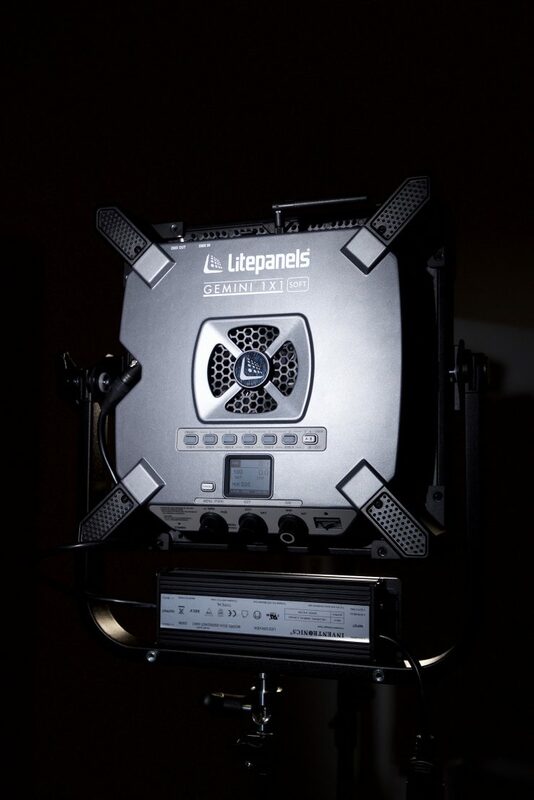 The Litepanels also has significantly more output than both the Lupo Superpanel Full Color 30 and Luxli Timpani. The results also show me that the light is very accurate when it comes to Kelvin color temperature reproduction, particularly at 5600K and above. When used below 5600K it still does a pretty good job, but it’s still a few 100º Kelvin off when used at some Kelvin color temperatures. At 3200K it does an impressive job. So now that we have seen how much output the Gemini produces, how does it perform when it comes to replicating accurate colors. Above you can see that when the light was set at 5600K it recorded an average CRI (R1-R8) of 93.1 and an extended CRI (R1-R15) of 91.32. For replicating accurate skin tones it recorded for R9 85.8 (red), 94.8 for R13 (closest to caucasian skin tones), and 95.5 for R15 (closest to Asian skin tones). When used at 5600K the light recorded a TLCI score of 97. Above you can see the scores for when the light was used at 3200K. It recorded an average CRI (R1-R8) of 95.6 and an extended CRI (R1-R15) of 93.22. For replicating accurate skin tones it recorded 77.2 for R9 (red), 96.6 for R13 (closest to caucasian skin tones), and 93.7 for R15 (closest to Asian skin tones). When used at 3200K the light recorded a TLCI score of 97. As you can see all of the competition had better scores at 5600K, while both the ARRI S30-C SkyPanel and the Luxli Timpani performed better at 3200K. SSI (Spectral Similarity Index) was developed by the Sci-Tech Council of the Academy. SSI gives me the ability to set any light as a standard, or use predefined standards (such as CIE D55), and then give other lights an SSI score based upon how well they will match. 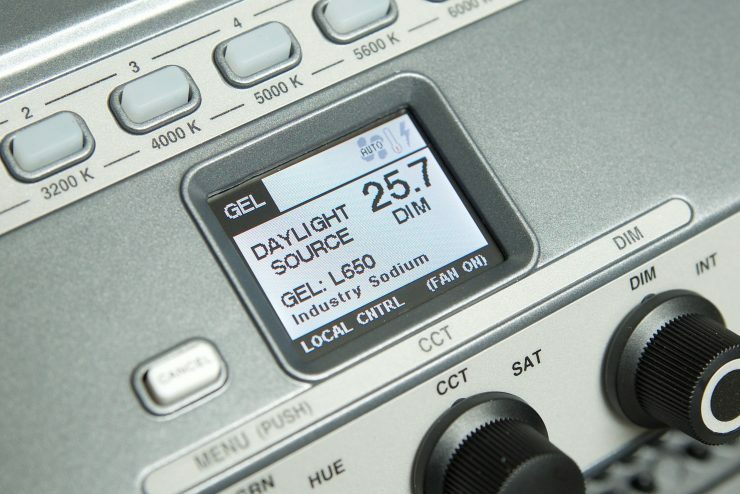 Standards such as CIE D55 measure spectral response and compare it directly against an ideal light source. This is useful to see how well different lights will play together. Above are the scores for the Litepanels Gemini 1×1 Soft when used at 3200K and 5600K. The lights SSI scores were not too bad. Just as a reference, most LED lights when set at 5600K will record an SSI score in the 70s. As a comparison, you can see the SSI scores for the Lupo Superpanel Full Color 30 below. I have listed the scores for how well it matches the Litepanels Gemini 1×1. 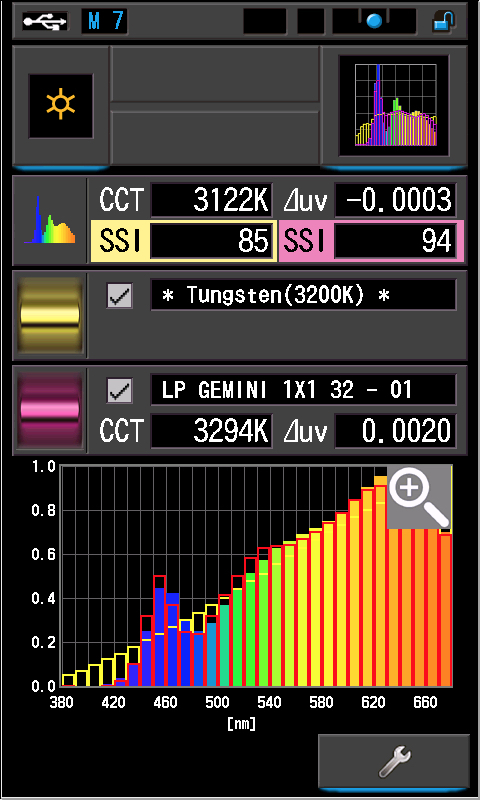 SSI comparison between a 3200K Tungsten source), the Lupo Superpanels Dual Color 30 and the Gemini 1×1 Soft when used at 3200K. 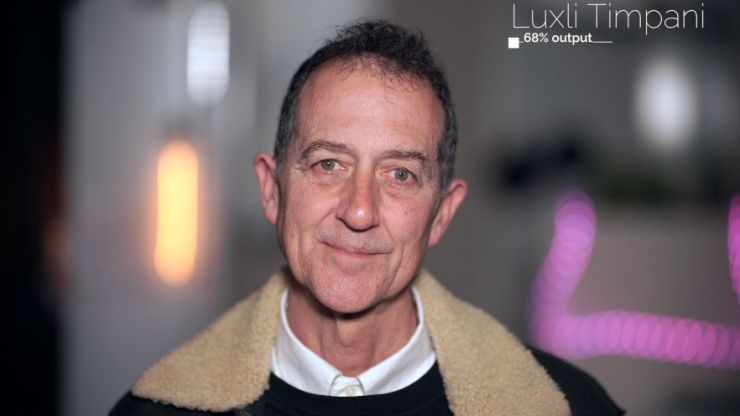 As you can see, the Lupo matches the Litepanels very closely at 3200K, but it’s not as close when used at 5600K. 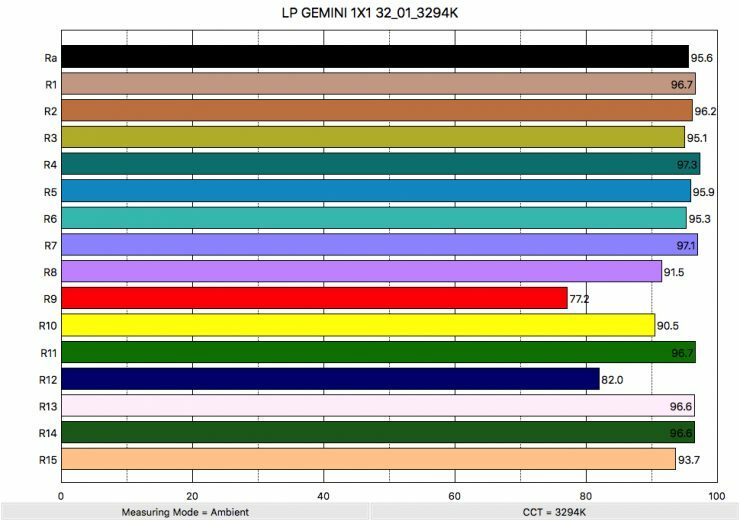 The Yellow graph steps indicate a perfect 3200K source, the Red graph steps indicate the Litepanels Gemini 1×1. The actual spectral response of the Lupo is the colored graph. So now that I have shown you how SSI works, let’s see how well the Gemini 1×1 Soft matches the larger Gemini 2×1. In theory, they should be almost a perfect match. Below you can see the results. It was quite interesting to see that although the Gemini 2×1 matches the Gemini 1×1 fairly closely, the SSI scores weren’t that much different from when you compare it against the Lupo. This result was interesting because it showed me that just because you have to lights from the same manafacturer they aren’t neccesarily going to be a perfect match. Above you can see the spectral distribution of the Gemini when it is set at 5600K. 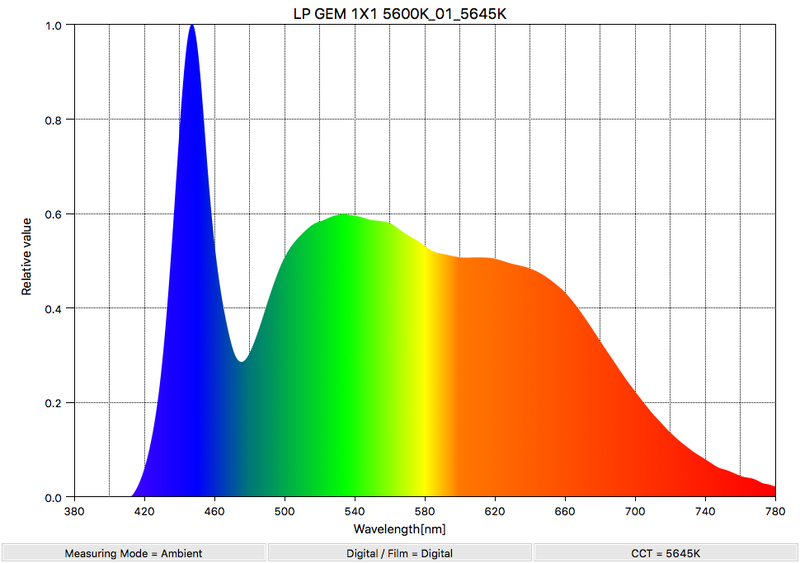 The spectral distribution is pretty good at 5600K and the light doesn’t have any large green spikes. 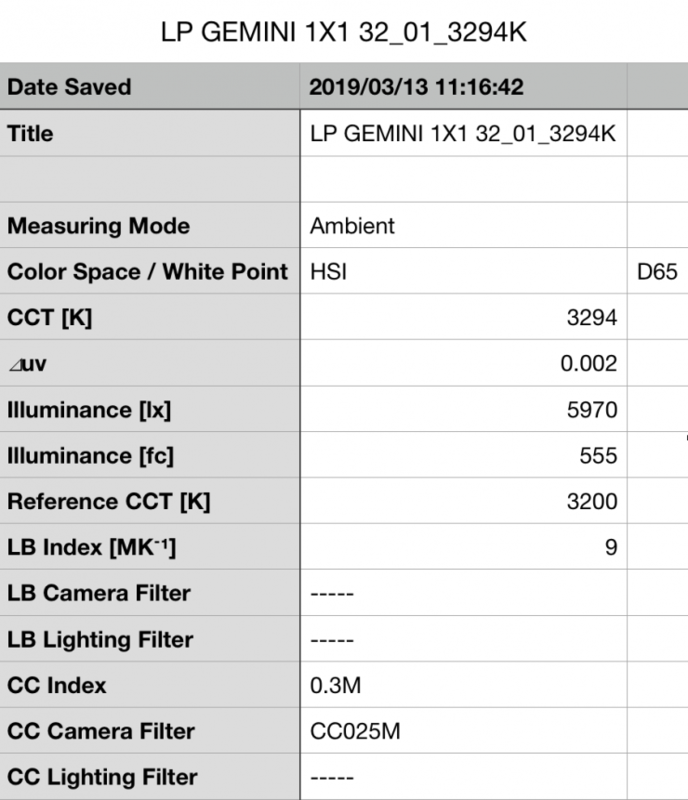 This spectral distribution is one of the better examples I have seen from a LED light at 5600K, and it’s fairly consistent with other Litepanels LED fixtures such as the Astra 1×1 series and the larger Gemini 2×1. From previous testing, I found that the Astra 1×1 Bi-Color has a slightly fuller spectrum. Above you can see the spectral distribution of the ARRI S30-C SkyPanel when it is set at 5600K. The spectral distribution is not nearly as good as the Gemini and the light has a very big green spike and is missing significant color information throughout the spectrum. Above you can see the spectral distribution of the Luxli Timpani when it is set at 5600K. The Luxli has a much fuller spectrum than both the ARRI or the Litepanels. Above you can see the spectral distribution of the 1×1 Gemini when it is set at 3200K. 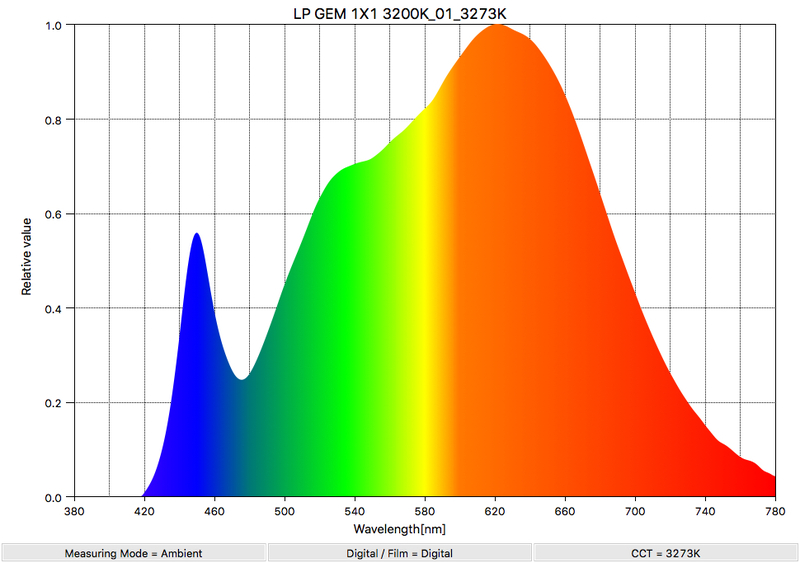 The spectral distribution is excellent at 3200K and the light only has a very slight push towards green. 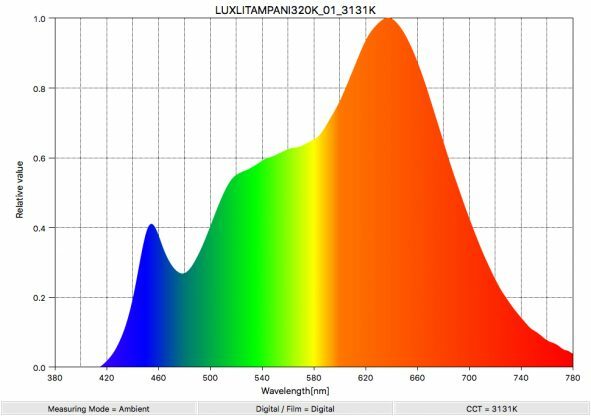 This spectral distribution is one of the best I have seen from a LED light at 3200K. Above you can see the spectral distribution of the ARRI S30-C SkyPanel when it is set at 3200K. The spectral distribution is not nearly as good as the Gemini and the light has a very big green spike and is missing significant color information throughout the spectrum. Above you can see the spectral distribution of the Luxli Timpani when it is set at 3200K. As I always say, photometric scores only tell you part of the story. 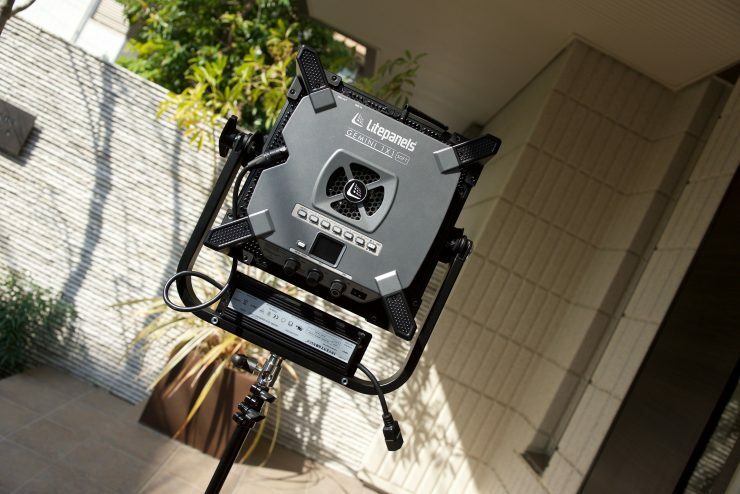 So photometric scores aside, how does the Litepanels Gemini 1×1 Soft perform in the real world? The quality of the light coming from the Gemini is really nice. Despite having scores that are similar or in some cases lower than some of the competitors, I found that the quality of light was the nicest I have seen from a 1×1 style RGBWW panel. It certainly helps that it has a high output for a diffused panel. The soft source being emitted is very flattering on skin tones, and you get nice soft shadows. Whatever the engineers have been doing over at Litepanels, they seem to have been doing it right. I was impressed by how well the Gemini performs. It’s a very versatile lighting tool that offers a lot of functionality. As the light has a high output it can be used for a variety of lighting applications. With a reasonably wide beam angle of 92-degrees it has enough output to create a rather large soft lighting source. I found that as an interview key light it looked really nice if you added a softbox and an egg crate. 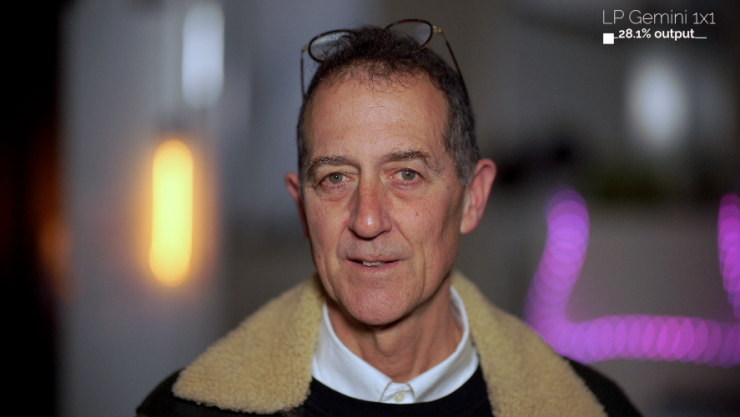 As the light already has a built-in diffusion panel, if you add another layer of diffusion you get very soft light. In terms of how it performs against the competition, it’s not only brighter, but it seems to render skin tones just a little bit more accurately than most of the other lights. In saying that, all of the 1×1 style RGBWW lights I have tested perform well and in a lot of cases your splitting hairs in terms of which light looks better. There really isn’t one light that jumps out and declares itself the winner. All of the RGBWW 1×1 style lights I have tested perform very well. That’s why, in my opinion, it is going to be a hard sell for Litepanels. With quite a few other options from manufacturers costing significantly less than the Gemini 1×1 Soft, how do you convince potential buyers to part with more money? That’s a question they will need to answer. While there are a lot of features in the Gemini 1×1 Soft that a good proportion of users may never have the need for, they are still a nice addition to have at your disposal. The key features for me are the CCT Mode (Correlated Color Temperature) where you can add or subtract green and the built-in gels. These are the two real-world features that will be the most commonly used. Being able to create a range of different colors is cool, and having inbuilt effects like Fire, Lightning, Paparazzi, and Strobe is nice, but again they are not something most people are going to use that often. The Gemini 1×1 Soft will retail for $2,650 USD, £1,950. €2,290, or ¥290,000 depending on where you live. This is a lot of money to spend on a light, but it is cheaper than the ARRI SC30-C SkyPanel ($4,213 USD) and the BB&S Area 48 Color ($3,300 USD). Even though the Gemini 1×1 is being targeted as competition to the ARRI, I personally think the lights other competition is more likely to come from 1×1 RGBWW panels such as the Lupo Superpanel Full Color 30 ($1,598 USD), Luxli Timpani ($899 USD), and Rayzr MC 120 ($899). 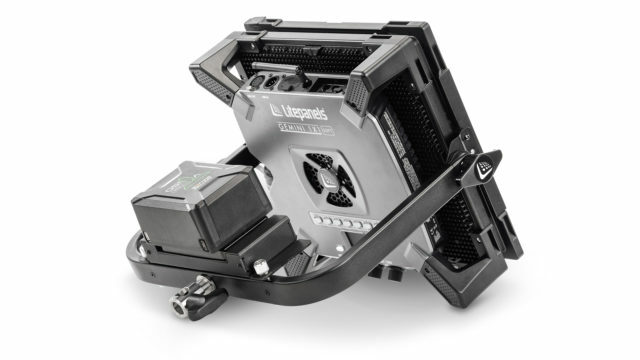 You do have to take into account that if you want to run the Gemini 1×1 Soft off camera batteries you will need the optional Litepanels Dual V-Mount Battery Bracket for Gemini Soft LED Panel which is an additional $399 USD. The Gemini only comes with the yoke and a power cable, so if you are going to buy one you need to factor in the cost of other accessories you may need. WHO IS THE GEMINI 1×1 SOFT AIMED AT? You could use the Gemini for lots of different applications, but it’s certainly being targeted as a high quality, travel-friendly, power efficient lighting source to take on the road. 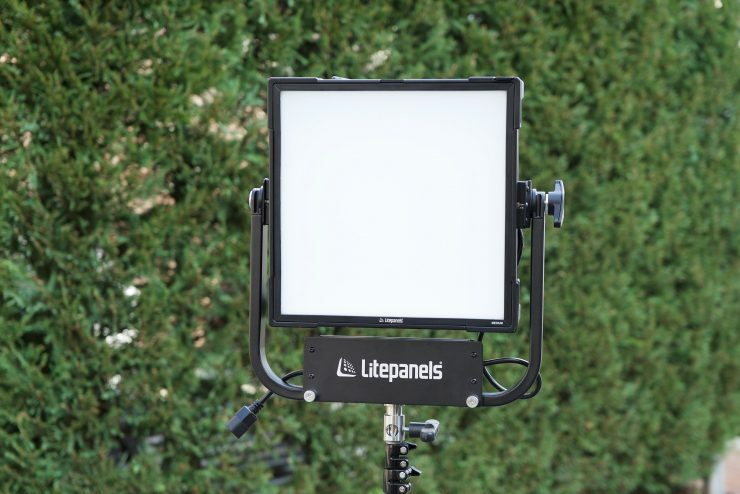 1×1 fixtures are still incredibly popular and Litepanels latest offering is sure to appeal to users of the Astra series or anyone in the market for a high quality, high output 1×1 RGBWW light. As I have already mentioned the ARRI SC30-C SkyPanel is the Gemini’s closest competitor according to Litepanels, but there are some other alternative RGBWW options available such as the Lupo Superpanel Full Color 30, Luxli Timpani, Razyr MC 120/ MC200, and BB&S Area 48 Color. If you don’t need all the features like Effects Mode, Colour Mode, or even CCT adjustment then there are plenty of other more value-friendly alternatives available. If you are simply just after a 1×1 soft light that is highly portable and provides pretty accurate color rendition then there are a plethora of choices available. The Gemini is expensive at $2,650 USD, but it’s also around $1,500 USD cheaper than the ARRI SC30-C Skypanel. 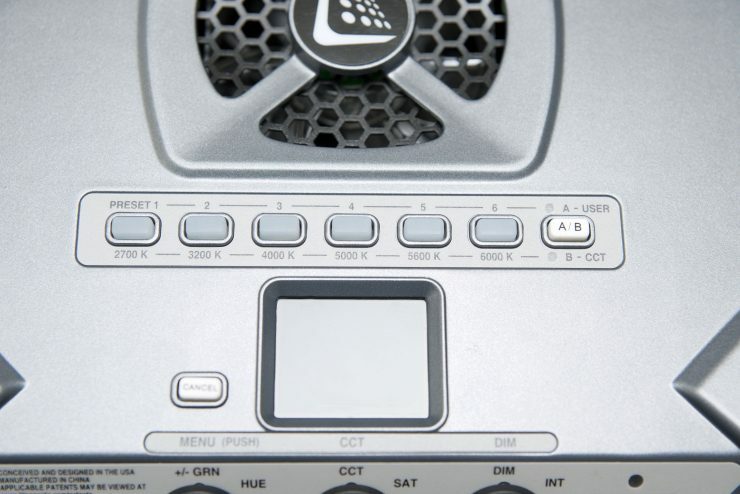 It is, however, considerably more expensive than the Lupo Superpanel Full Color 30, Luxli Timpani, and Rayzr MC 120/200. 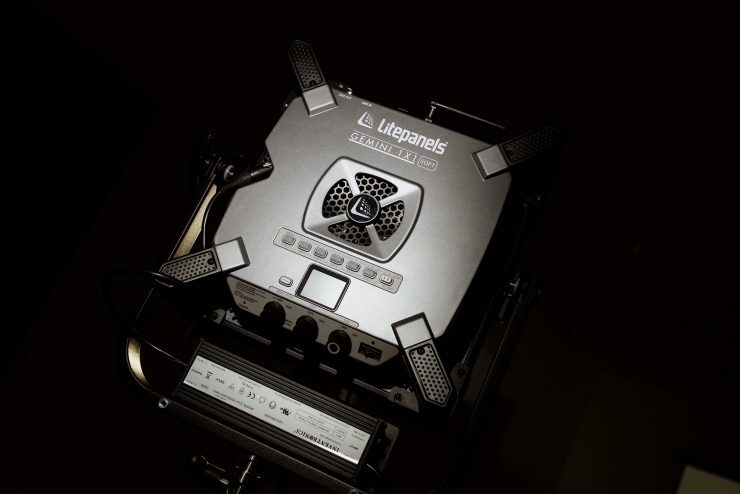 The Litepanels Gemini produces a really nice quality of light. While it’s color rendering scores weren’t quite as good as expected, it didn’t seem to make any difference to the lights performance. If you have been looking at an ARRI SC30-C SkyPanel then the Gemini makes for a very compelling alternative. The Gemini 1×1 Soft has an impressive output, good build quality, and a nice range of features. I don’t like the overly large camera battery plate and I wish Litepanels had designed a plate that goes in the same place as where the power supply is mounted. Update: There is going to be a single battery plate now. It would have also been nice to see a power draw that let you run the light off a single camera battery that was below 160Wh. In saying that, most of the competition also draws around 200W, and given the high output of the Gemini, Litepanels would have had to make the light less powerful if it drew less power. Do I need these extra features and RGBWW capabilities? Probably not, but they are nice to have. Is it a practical light for solo shooters, yes and no. While I could see myself traveling with this light, it still requires the use of two batteries (or one very high capacity battery) and it is heavier than say the offerings available from Lupo, Luxli, Rayzr, and BB&S. In all honesty, if you don’t need all of the extra features that a RGBWW light can provide, you are better off saving your money and sticking with whatever light you are already happy with. Just because a light is RGBWW it doesn’t automatcally mean it is going to be better than a light that isn’t. My biggest gripe is the price. At $2,650 USD it is more expensive than a lot of the competition. Yes, I know Litepanels is aiming it directly at the ARRI Skypanel S30-C, but it still has to compete against other options that are now on the market. From testing a lot of other RGBWW panels the Gemini is certainly right up there at the top of the pack, and I would probably take it over an S30-C SkyPanel given the price difference. Would I, however, take it over some of the other options that are available? That, I’m not so sure. It’s a hard sell trying to convince someone that they could buy one Gemini 1×1 Soft for the same price that they could get 3 Luxli Timpani panels for. In saying that, it does have significantly more output than any of the other 1×1 sized RGBW and RGBWW lights that I have tested. While the Gemini 1×1 Soft is certainly a very good fixture, it does face very stiff competition from more affordable offerings that are on the market. 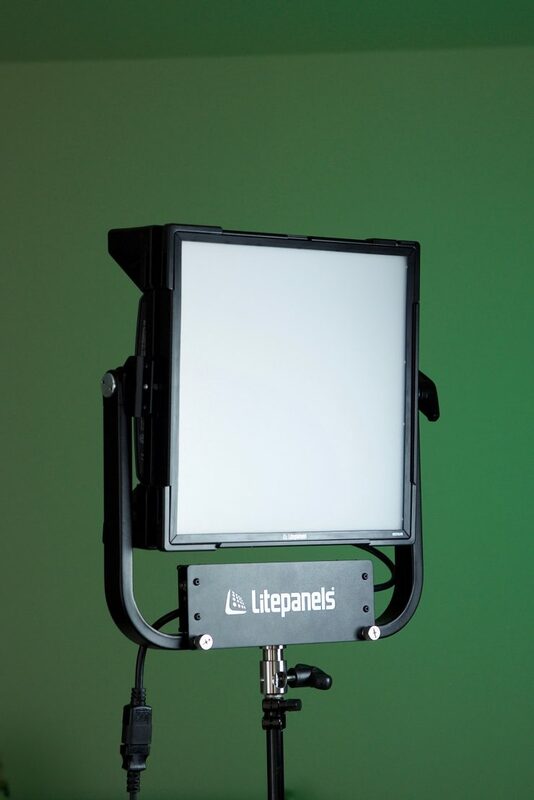 If you were a previous user of the Litepanels Astra series and want to step up to an RGBWW light, then it is certainly worth looking at if you can stomache the high price tag.